Mario has Yoshi. Link has Epona. Ryo Hazuki has a forklift. This unassuming industrial vehicle has become so closely identified with Shenmue that when series director Yu Suzuki wanted to tease the announcement of Shenmue III, all he had to do was tweet a picture of one. 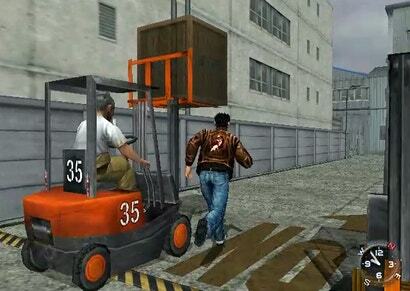 For both advocates and detractors, Shenmue’s forklift sequences are emblematic of how unexpected, different, and downright strange the much-hyped adventure game turned out to be, compared to the game we were conditioned to expect. When Sega released Shenmue for the Dreamcast in 1999, it was supposed to be the future of video gaming. 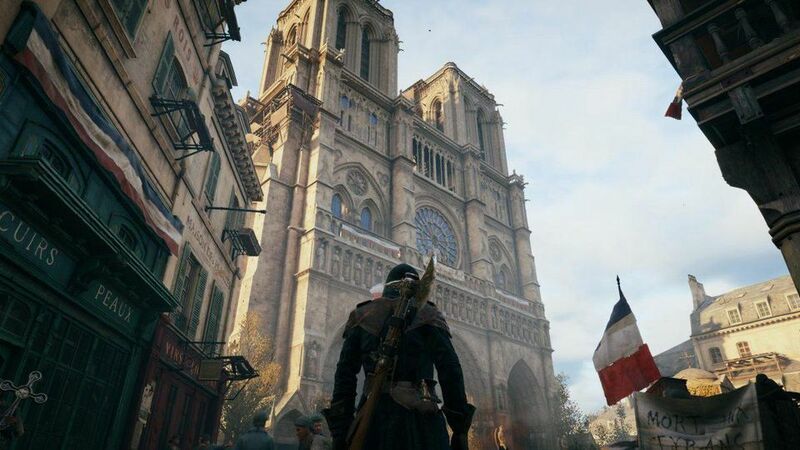 Pre-release hype sold it as an unprecedented achievement in detail and interactivity, a fully-realised 3D city where you could interact with everything. It was by far the most expensive video game ever made at the time. It followed Ryo Hazuki, 18-year-old heir to the Hazuki jiu-jitsu dynasty, at the onset of his epic, as-yet-unfinished quest to avenge his father’s murder and seize his destiny. It takes about 20 hours to finish Shenmue’s main story. 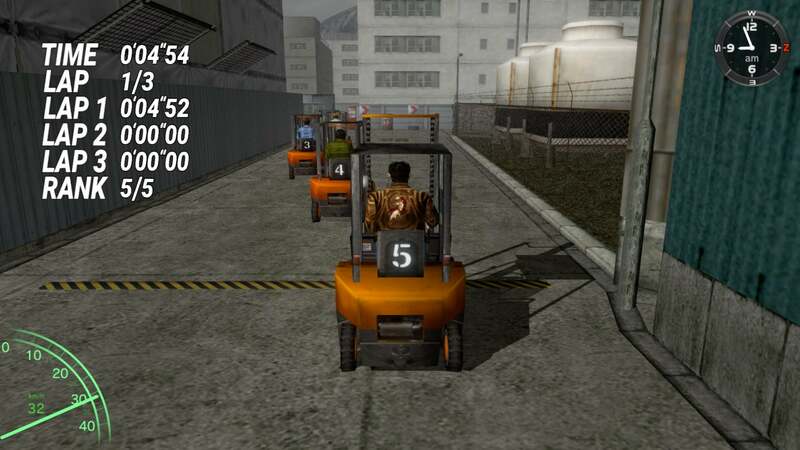 A surprising amount of that runtime, especially as the game reaches its end, is taken up with sequences of Ryo driving a forklift during a part-time job down at the docks of New Yokosuka Harbour. In any other “epic, genre-defining” adventure game, you’d spend the last hours before the final sequence traversing an appropriately over-the-top final dungeon. In Shenmue you spend it waking up early so you can take the bus to the harbour and clock in. Seriously. You spend five full in-game days working your forklift job: picking up and moving crates back and forth, for hours. It’s not just for extra money for gacha toys and games of Space Harrier; you have to do it to advance the plot. Beyond how wildly miscalibrated it seems for a self-styled “epic adventure game,” the most ridiculous thing about Shenmue’s forklift sequence in 2019 is how well it works. The strangest thing about Shenmue is that it really was trying to tell a story that felt prophetic, just not in the way anyone expected. Shenmue tells its story about Ryo’s coming of age from two complimentary but dueling perspectives. The narrative itself is largely triumphant and exciting, about a boy learning to seize his destiny. It contains only hints of a pervasive melancholy, mostly through Ryo’s interactions with his friends and family. Ryo’s caretaker, foster brother, and school friends never stop expressing their concern and fear for Ryo throughout the game, as well as their sadness that he is distancing himself from them. The actual gameplay mechanics of Shenmue pick up that distancing and run with it. The primary “story” as told through Shenmue’s mechanics is a tragic one, about how Ryo’s grief isolated him from his home, his community, and himself, and ultimately stole a legitimate future from him. 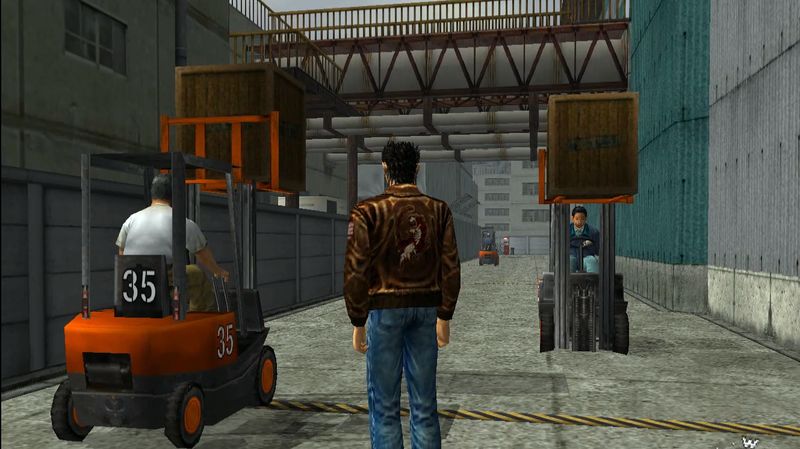 Shenmue’s forklift sequence operates as the “mechanical” climax of the story, which means it provides the final comment on the melancholic perspective of Ryo’s story. It does that by giving the player a place in Ryo’s world—and demonstrating that Ryo can’t have one. Shenmue is obsessed with context. 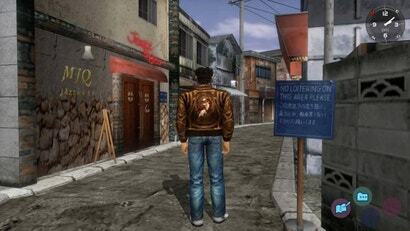 Sega called Shenmue’s genre “Full Reactive Eyes Entertainment,” or FREE. The idea of FREE was that the player would be placed into a sandbox environment where they could study or interact with anything. You open drawers, read posters and signs, and even look at individual objects in homes and restaurants. These items are not just filler. Every one of them serves to remind the player that they are inside of a specific context: Yokosuka, Japan, in the 1980s. This fixation on context even extends to the sandbox world of Shenmue, which strives not only for density but also for a pointed specificity. Almost everybody you meet in the game has a daily schedules, like a rudimentary version of Oblivion’s “radiant AI” system. You can encounter your neighbours, classmates, friends, or acquaintances walking to work, conversing outside the convenience store, or walking home—to their respective, labelled houses—after a long day. Every time you hit a loading screen, you see the date and year, the time, and the name of your specific location. Ryo keeps a detailed journal with notes on his investigation, which he automatically fills in every step of the way. The point of all of this contextualization is to make sure the player never forgets exactly who and where they are. You are Ryo Hazuki, an 18-year-old in the city of Yokosuka, Japan in the years 1986 and 1987, trying to track down his father’s killer mostly by asking tired salarymen if they know where he could find some sailors. The game constructs the clockwork world around you, all so you can be the wrench thrown in the gears. The majority of Shenmue’s critical path is a straightforward investigation. Ryo wants to know who killed his father and why. To figure that out, he stops going to school and starts asking rather impertinent questions around town. The process of playing Shenmue is the process of leaving an established comfort zone and heading out into a place where you don’t belong. Shenmue never lets you forget you don’t belong, either. Much of Ryo’s journey is awkward and uncomfortable. Ryo will stroll into a cartoonishly rough biker bar and ask the studded vest-wearing patrons if they “know anything about unique mirrors.” Ryo’s not good at this, because it’s not what he’s supposed to be doing: he’s a guileless karate boy too shy to talk to girls. Ryo’s incongruity is meant to be funny and cringey, but it’s also meant to be tragic. Watching the boy who feeds stray kittens threaten to break a grown man’s arm feels wrong. We feel that wrongness because Shenmue’s gameplay commits to so completely to the idea of Ryo as a fish out of water. The whole world is designed to make you, as Ryo, feel isolated outside of it. Even this aspect of Shenmue feels unusual. 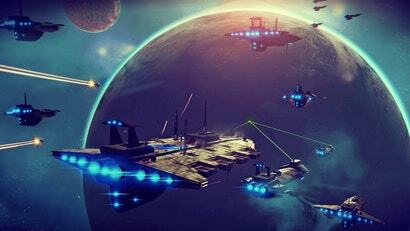 In most sandbox games, the world is designed to make you feel integrated into it. It’s designed around your experience. Shenmue inverts the relationship, making you the isolation. The fact that you’re controlling Ryo is why he feels so out of place. Everyone else has a place to go; you’re the only one running all over without a clue. Up until the forklift sequence, the isolation imposed on the player by the mechanics feels external and imposed. The wrongness of Ryo’s presence in Yokosuka is because he’s out of sync with his place in it. By killing his father, his mentor, the master of the dojo, Lan Di has deprived Ryo of his place and context within the community. The implication behind this external isolation is that if Ryo could regain a place, he could rejoin his community. 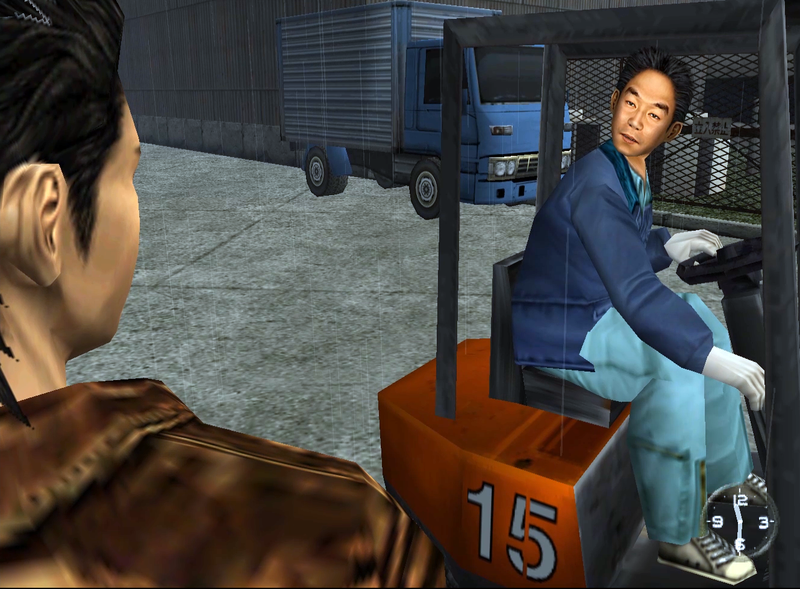 The forklift sequence refutes this implication by re-framing Ryo and the player’s relationship with the world around them. The forklift sequence gives the player a context, o show that the nature of Ryo’s isolation is different, and deeper, than we thought. The forklift sequence isolates Ryo not only from the fictional world around him, but even from the player. Ryo ends up with his forklift job in order to investigate a biker gang that’s connected to Lan Di, as well as to earn back his money after he is defrauded by a shady travel agency. Every day, you wake up, do your job, take your generous two-hour lunch break, talk to your co-workers, and grab your paycheck from your boss. At the end of the day, you manually walk to the bus stop, pay your fare, and ride home. The game goes so far as to actually re-use the cutscenes day by day. Almost before you know it, maybe around day three, you realise Shenmue has finally given you a place in its world. Every morning, all the forklift operators get together and race around a predetermined track. The track is always the same, and everyone gets a useless reward—a forklift toy, of course. At the end of the race, your coworker Mark comments on how you did, gives you some advice, and then you all get to work. Over lunch, your co-workers joke about the race and look forward to tomorrow. As you talk to your co-workers, you get to know them. Mark had a brother who was killed by the Mad Angels, the same motorcycle gang connected to the murderer of Ryo’s father. Yohei has money and commitment issues. Hisaka, the woman who sells you lunches, has an issue with her rebellious little sister. They complain about their low wages, talk about their careers, ask Ryo about himself, and share their lunches. After work, you can find them wandering around the harbour and converse with them as friends. This is more or less the first time you can choose to start a conversation with someone in Shenmue that doesn’t have anything to do with your investigation. In the meantime, you’re coming and going and working a job, just like the NPCs you spent most of the first half of the game disrupting. Performing the same actions as everyone else in Yokosuka transforms the player’s perception of the world around them. What once felt alienating or even annoying makes sense now. Of course that guy in Dobuita didn’t want to talk to you about “the three blades.” He was just tired from work and wanted to go home. As the days go on, the job gets more demanding, your forklift skills improve, and you earn more money. The loop is deceptively and pointedly compelling. As I played the forklift sequence, I ended up thinking more about how I could stack boxes faster, or make that tricky corner in the race, than I did about beating up bikers. The gameplay led me there. The forklift sequence is where the player’s and Ryo’s relationships with the world diverge. Where the player gains a context and a home within Yokosuka’s clockwork system, Ryo remains isolated. All he’s thinking about is finding the Mad Angel biker gang. Unfortunately (for us) he succeeds. Ryo spends every night after work ignoring his co-workers’ warnings and tracking down the Mad Angels. Eventually, they start disrupting the forklift operators and harassing Ryo at work. When the Mad Angels show up, they literally interrupt your job. 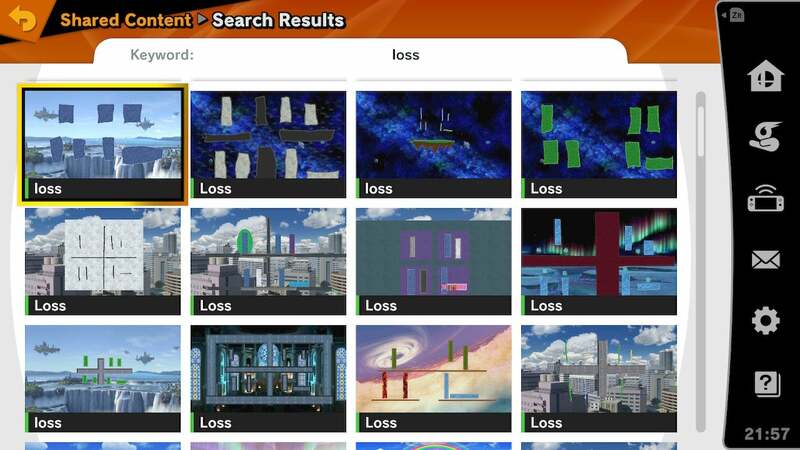 You’re kicked out of the gameplay and into a cutscene, and you lose precious time you could’ve spent grabbing more boxes, which means you lose money. Eventually, these disruptions get to be too much. After only a week, Ryo is fired from the forklift job for making too much trouble. Losing the job isn’t a big deal for Ryo at this point; he already got what he needs from it. It is a big deal for the player, however. No more forklift races. No more lunch breaks with your co-workers. No more working on greater stacker efficiency. The game transitions to the final sequence, wherein the Mad Angels kidnap Nozomi in classic bad-guy fashion. Very shortly after losing the forklift job, you aren’t allowed to return to the regular sandbox. You beat the game and Ryo gets a boat, leaving behind the harbour where he worked, his loved ones, and his former home. Shenmue’s gameplay gives the player an emotional arc that compliments, but diverges from, Ryo’s. For much of the game, the process of playing through Shenmue is the process of understanding how Yokohama feels to Ryo. We’re isolated and incongruous within the community, just like he is. We spend most of the game trying to get our footing by tracking down the right places and asking the right people the right questions at the right times. 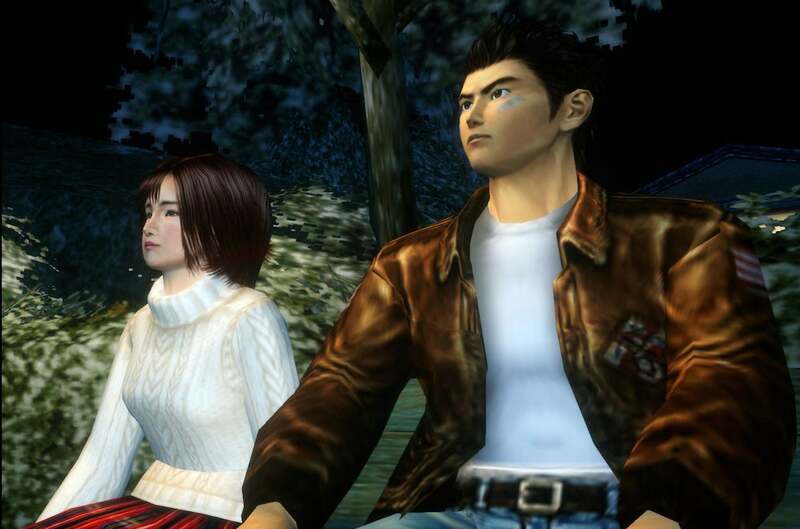 This relationship with Yokohama and Shenmue’s systems characterises Ryo as a person deprived of his former community and struggling to understand his new status. The forklift sequence represents a shift, but only for the player, not for Ryo. Suddenly, the player has a place and context within the world of Yokohama. We work our job and develop skills just like the NPCs we spent most of the game interviewing and observing. We start to build a home inside Shenmue. Ryo does not. Instead, he remains locked into his quest for revenge, staying doggedly on the path that will lead him, and the player, out of Yokosuka. He denies his friends, his loved ones, and even the life that we start to build for him. The forklift sequence characterises Ryo by separating his arc from the player’s. We can find belonging, but he can’t. When Lan Di killed Ryo’s father, he wasn’t simply destroying Ryo’s place in his home. He was destroying Ryo’s capacity to find any place in his home. Ryo’s isolation isn’t external, where we could feel it with him; it’s internal. Ryo’s grief completely alienates him from the person he was. Whatever his life could have been before Lan Di—Nozomi, jiu-jitsu, forklifts - it could never be that now. When Ryo leaves Yokosuka to pursue Lan Di, he isn’t just choosing a destiny for himself - he’s also leaving another one behind. Shenmue is a story just as interested in what you give up when you choose a future as it is in choosing that future. It can do both because of its mechanics. By letting the player develop a different relationship with Yokohama than Ryo does, Shenmue characterises Ryo and communicates its theme in a way only a video game could. Shenmue uses a forklift job to illustrate how grief can transform a person, and reflect on how moving toward one future also means leaving others behind. That still feels revolutionary, even—or especially—in 2019. The narrative of Shenmue tells the first act of a coming-of-age story. Ryo becomes stronger with the help of new friends and overcomes obstacles. In the process, he finds the resolve he needs to go on his journey. Shenmue’s narrative ends triumphantly, but that’s only half its story. The other half - about how grief irrevocably alters a life, and how leaving home means leaving a piece of yourself behind forever - is told by Shenmue’s mechanics, and the relationship the player develops with the world itself. More specifically, the relationship the player develops with a forklift. I've been keen to play Shenmue for a long time as the Dreamcast was the one console I never got to play. This article has made me jones for it even harder. Maybe it's the former forklift driver in me but the idea of monotonous stacking embarrassingly appeals to me... Great read, thanks Harry! Greatest video game of all-time. Anybody who disliked the forklift job of Shenmue 1 quickly changed their tune when getting the first box-moving job in 2.